Uncontrolled anger can destroy your marriage or your whole family, cost you your job, or even your life! This does not have to happen to you--you're better than that. This is where you will learn to get to the bottom of your anger problem and develop lasting anger control. Yelling, name-calling, ridiculing and sarcasm are mild forms. Verbal abuse, mental abuse, cruelty and physical abuse are the more extreme forms of anger expression that bring harm to others. Stuffing your anger inside hurts your gut, your heart and your muscles. And this interferes with your respiration, digestion and circulation. That is why expressing your anger in healthy ways is so important for you and everybody who cares about you! Letting your anger turn into bitterness and depression may not seem like uncontrolled anger, but it certainly does harm. There are many more examples we could come up with here, but this covers it in a general sense. So, why do you have so much trouble controlling anger? Well, you're totally unique as an individual, but you have a lot in common with the rest of us--so the reasons for your out-of-control anger are pretty much the same as they are for others. Let's take a look at some of those reasons right now. Your anger control problems are not anybody's fault--but if your parents didn't handle their anger well, you got off to a bad start. Childhood is definitely part of the puzzle, but you are not a victim of your childhood! Did you know that most abusers describe themselves as victims? Yep, and that is why it's so important to take responsibility for your own anger. 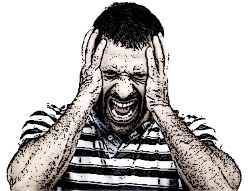 Feeling like a victim is one of the biggest causes of uncontrolled anger! Another cause of anger control problems is being spoiled. If you were spoiled, your parents or whoever spoiled you did not do you any favors! Spoiled things get thrown away--but you are a keeper. That's right, you're a good person regardless of how you were raised. But the sense of entitlement and inflated sense of self-importance that comes from being spoiled is something you need to get rid of. It usually takes some anger management counseling to get this resolved, but you can do it! Uncontrolled anger can also result from child abuse such as neglect, abandonment, physical or sexual abuse. The good news is that when you work on healing your past trauma, you get stronger and smarter as a result, turning your dirt into gold! 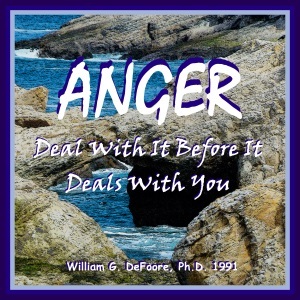 You might want to check out this CD/audio download for healing emotional wounds from your past. Unresolved grief can be a major cause of anger management problems. Often when you get to the bottom of someone's rage and anger, you find old grief hiding under there. And, when the grieving is done, the anger sometimes just goes away! Learn about the 7 stages of grief in case this applies to you, or if you want to make sure it doesn't in the future. Being overmedicated or on the wrong medication can cause anger problems as well. I'm not a medical doctor, so I can't advise you on that specifically. However, I suggest you be an educated consumer and find out all of the side effects of any medication you are taking, and work with your doctor to get it changed--or to get off it entirely. If your doctor won't help you with this, shop around until you find one who will. Being in a stressful job, a bad marriage, and not getting enough physical exercise can certainly contribute to your difficulty in controlling anger. War veterans often have uncontrolled anger as part of PTSD symptoms. You might have trouble controlling anger simply because you need some good anger management strategies for dealing with the stress and difficulties in your life. In that case, you're in the right spot--just go to our home page and check out all that is available to help you right here! This entire web site is devoted to helping you to prevent and solve the problem of out-of-control anger. You are your own best anger management resource, so take the action now to take charge of your anger and create a good life for yourself and your family. Find out now...do anger management courses work? Want to learn more about uncontrollable anger? Do you have a great story about this? Share it! It could be helpful to somebody, or just funny! Either way, it would be great to hear from you. Feel free to be serious or light-hearted, or a combination of both. Sometimes we learn best when we're having fun, so let 'er rip!